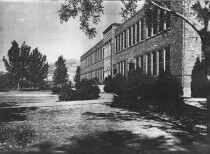 Photograph of Bowie High School in the 1940's. 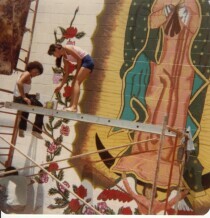 Location is South Central in El Paso, Texas. 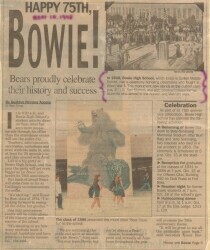 Bowie High School - Happy Birthday - 1998 - September 1998. 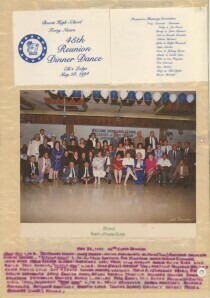 Forty - fifth reunion and dinner dance - May 28, 1994. 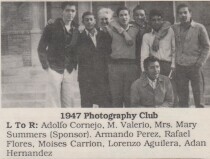 Bowie High School Booklet - with the 1949 members of the Texas "All State" Baseball Team. 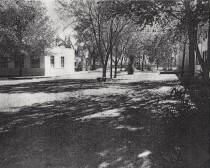 Scenic drive located in El Paso, Texas. 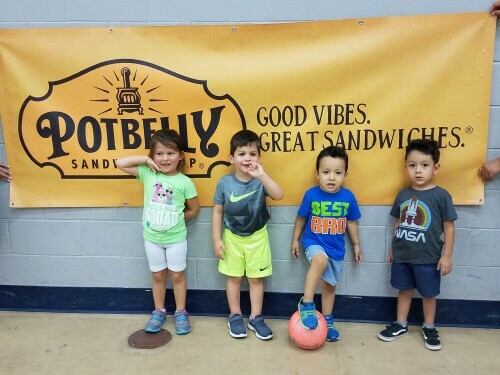 Bowie HS gym named after Nolan Richardson, made possible by Memory Lane Committee. 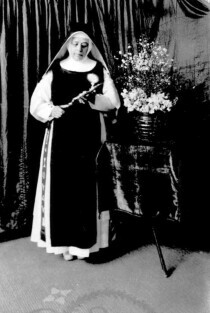 Family photo at Casasola Studio. 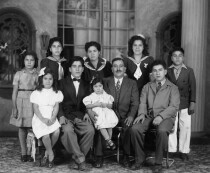 Photograph of the Hernandez Family. 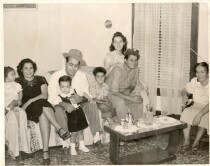 Flores and Ochoa family in the year 1949.